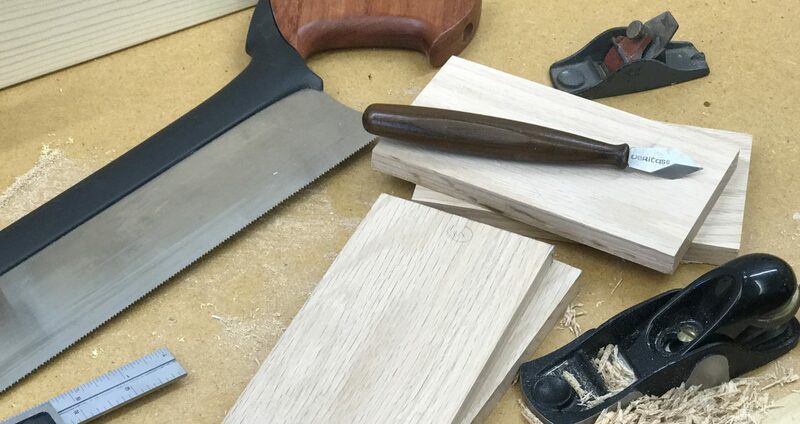 Over on the Woodworking Network Blog, Scott Wunder writes about his frustration with wood fillers. Like most woodworkers (including me), he used the old recipe of mixing sawdust with glue. 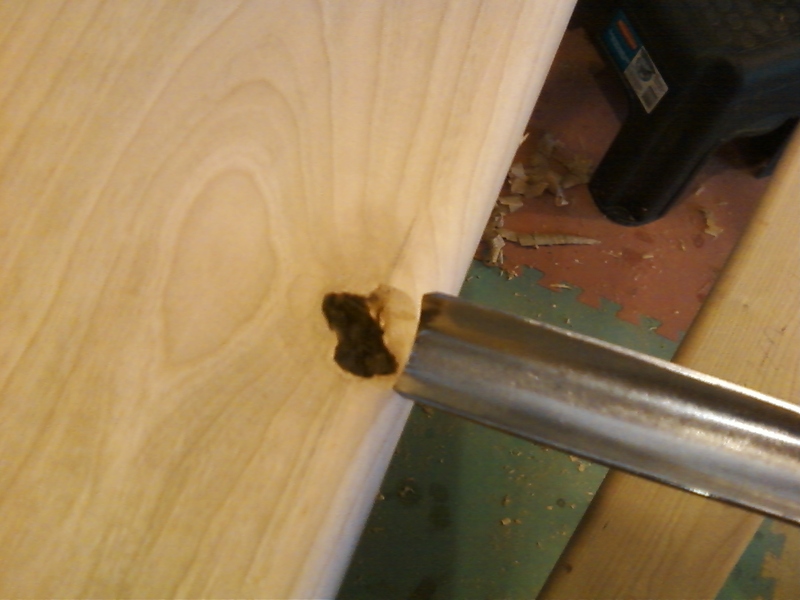 I use the fine dust from my random orbital sander. But the problem with mixing with glue, as Scott and I have found, is that it’s hard to sand. The sawdust/glue mixture is what I used to fill in the minor gaps after making a patch to hide the knot on the edge of a workpiece. The right photo shows the patch after the trim has been applied. This photo was taken just before I applied a finish. I’ve used Famowood wood filler in the little plastic tubs, and honestly, I like it. It’s water-based so I can thin it to the consistency I need (or if it’s sat too long and dried out, it can be “revived”). It sands easily and cleans up easily (though after it dries on your putty knife, it will require a soaking to get it off). So I’m intrigued that Scott developed his own WunderWoods Custom Wood Filler. He sells it in 6-0z. containers on ebay to match six common species of American hardwoods. If you need to match another wood, Scott will be glad to mix up a batch for you. I’m going to order some of Scott’s filler and give it a try. I like rooting for the little guy, and I hope Scott’s product is one that ever woodworker will want to have in their shop. 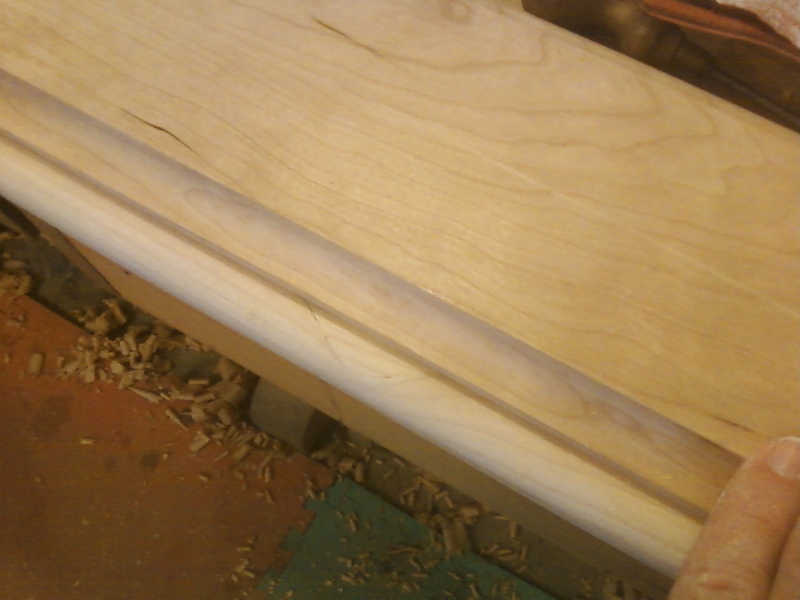 Posted on July 22, 2013 July 22, 2013 by Randy MaxeyPosted in Finishing, WoodworkingTagged Filler.